Take a private tour with me or with my assoicate guides, who are qualified, insured and thoroughly entertaining. 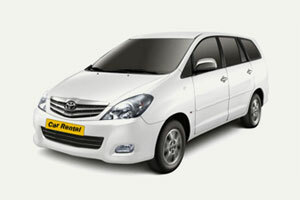 Meet and Greet services including Coach Escorts / Guides / Asistance for your day trip of Agra. Delve deeper into the heart of a city or region with entertaining Local Guides who will join you in agra for your tour of Taj Mahal and various destinations during your vacation. As locals to the area, they'll share their passion for the place they grew up in and take your sightseeing experience to a whole new level, showing you specific sights in more details. Wherever you visit, there is always more to discover beneath the surface, and the best way to really understand the history of a monuments, town, city or area by TajTourGuide.com. "If I were asked under what sky the human mind has most fully developed some of its choicest gifts, has most deeply pondered on the greatest problems of life, and has found solutions, I should point to India". 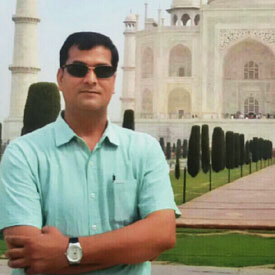 "It is impossible not to be astonished by India. Nowhere on Earth does humanity present itself in such a dizzying, creative burst of cultures and religions, races and tongues. Enriched by successive waves of migration and marauders from distant lands, every one of them left an indelible imprint which was absorbed into the Indian way of life. Every aspect of the country presents itself on a massive, exaggerated scale, worthy in comparison only to the superlative mountains that overshadow it. 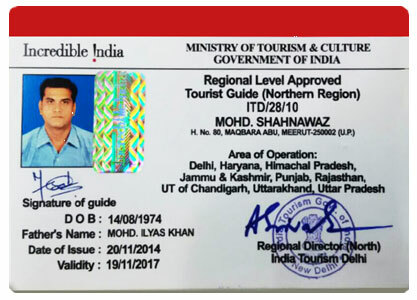 It is this variety which provides a breathtaking ensemble for experiences that is uniquely Indian. Perhaps the only thing more difficult than to be indifferent to India would be to describe or understand India completely. There are perhaps very few nations in the world with the enormous variety that India has to offer. Modern day India represents the largest democracy in the world with a seamless picture of unity in diversity unparalleled." The majority of foreign tourists arrive in India by air. 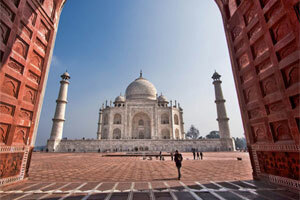 The majority of tourists traveling to India land in New Delhi. English is spoken by almost all government officials present at Indian airports. If you speak the English language, then you should have no communication problems at the airport. I have found that India is one country, where they sometimes x-ray luggage of arriving passengers. If this happens to you, do not be alarmed. Luggage carts are available at the airport free of charge. On some occasions there are no carts available due to the volume of passengers in the terminal. However if you wait for a short time, carts are periodically brought in from outside. Major credit cards are generally accepted by large establishments, including hotels, shops and airlines. Hotels may refuse to accept credit cards at certain destinations. It is best to pre-check. ATM'S and cash machines are easily available in big cities in India but not in villages & small towns. Immediately outside there are taxi stands for pre-paid taxi service. In case you need to exchange currency you need to do it before you exit the airport. Money exchange booths are inside the airport and not outside. 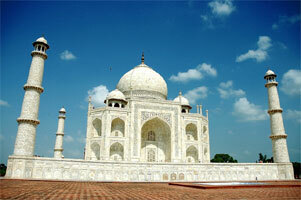 By Road : Agra can be reached by bus from major cities like Delhi, Jaipur, Lucknow, Gwalior. Agra is connected to Delhi by NH2 and the new Yamuna Expressway. The drive time is about 4-5 hours depending on traffic and time of the day. 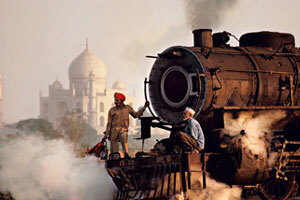 By Train : Agra has four main railway stations - the Agra Cantonment, Raja-ki-Mandi, Agra Fort and Idgah Agra Junction. The city is well connected by train services to all the important cities in India. There are many super fast express trains connecting Agra to Delhi, Mumbai and Kolkata. By Air : Agra's Kheria airport is also a military base. It is a seasonal commercial airport and is connected only by Air India flights from New Delhi. The flight from Delhi to Agra is less than an hour long. Kheria airport is 13 kilometres away from Agra city. Hire a taxi from the airport to get to the city, which should take you around 10-15 minutes depending on traffic. Agra is connected to Varanasi, Delhi and Khajuraho by air.